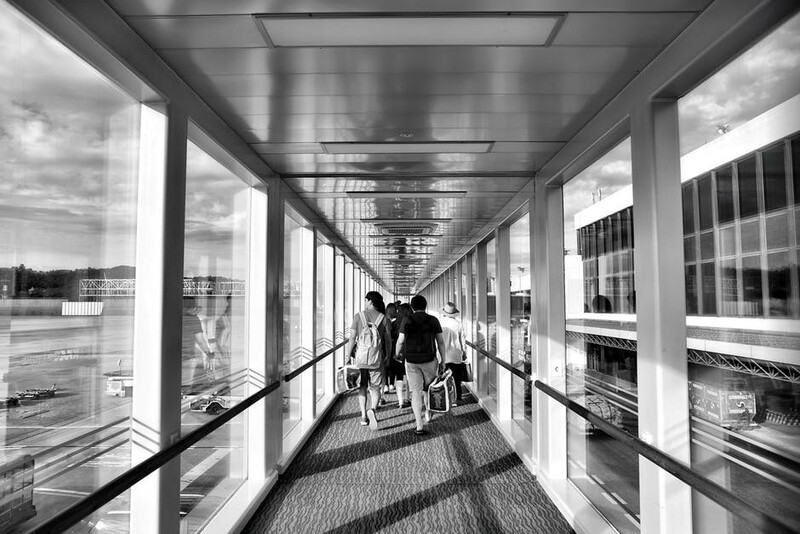 On average, passengers will spend 7.1 minutes going through airport security in UK airports. With many grievances coming from travel via plane, including tedious allowances, lost luggage and a busy, highly concentrated room of other holiday-goers. The airport can be a stressful place. Not least the nightmarish queues at security and the inevitable pat down no one looks forward to. But we think we’ve got airport security down. And, with our top tips, your waiting time will be, too. Liquids: Put all liquids into clear 100ml bottles and pop into a clear plastic bag. Most sandwich bags are appropriate, as long as they do not exceed the 20cm x 20cm dimensions. Be vigilant with items like deodorant and make-up and make sure they do not exceed the 100ml restriction. Food: Few realise that you can take food through in your hand luggage, as long as it is solid and doesn’t waver the grey area of liquids, like jams and yoghurts. Any liquid-like foods must be within the 100ml limit. For baby food, you can take up to 2000ml of unfrozen breast milk. As well as this, enough food for the length of the flight, even if over the 100ml limit. Like with advance bookings taking the strain off last-minute holiday extras like airport parking at Parking at Airports, you can also pre-order supplies into branches within the departure lounge. Electronics: Should electronics be in your hand or hold luggage? Passengers can put them in either, however be assured of a device’s safety, be it a laptop or camera, in your own hands. Meanwhile hold luggage goes through lord knows what. If you’re putting it in your hand luggage, ensure the device is charged. There may be spot checks in which they ask you to turn them on. Other Restrictions: It’s a good idea to familiarise yourself with what you cannot take in your hand luggage, even if they seem obvious. You actually can take tweezers and nail clippers, but not knives and certain sized scissors. Lighters, however, must be on your person and not in your luggage in a clear bag. Take off your belt and jewellery and deposit into the tray along with the rest of your hand luggage. Don’t wear boots as they’ll definitely be checked. Weigh up whether you really need a pair of boots where you’re going anyway. Choose shoes to wear to the airport that are easy to slip on and off. Not only will what you’re wearing and being rigorous in what you pack into your hand luggage help speed up the security screening process. There are also a handful of other tips worth taking on board when on your next trip to the airport. Ensure you have items like liquids and electronics packed in an easily reachable place in your bag. You can then unpack and put into the trays efficiently as you approach security. When depositing possessions, do so across more than just the one tray so that items aren’t piled on top of each other. You should keep electronics to their own tray. It’s also a good idea to check if you have anything in your pockets or bag that might cause issue, including car keys. The scanner is bound to be set off and cause an awkward commotion. Simple checks like this means you can slip it into your bag along with the rest of your belongings. It also doesn’t hurt to be kind and considerate, both to the staff and other travellers around you. Everyone finds the airport highly stressful, so be aware as you go through the security process. Ensure that you’re ready when an opening comes up and that you’re moving swiftly with the queues. Bid a nice day to the people working at the airport – they probably find security checks just as dull as you do. Carry on your consideration for others after your checks have been complete. There always ends up being a cluster of people immediately after scanners, passengers irate as they attempt to quickly gather their things and get out of other people’s way. Break the vicious cycle and take your trays away to a calmer area designated for getting yourself together. This will make the whole ordeal easier for everyone and you won’t feel frazzled straightening yourself out and putting your shoes back on in record breaking time. Taking a moment to consider that you’re all in the same boat when it comes be airport security. It’s always a good place to start. Not getting exasperated when passengers inevitably don’t get through in less than three minutes is another. Being positive will keep you mellow, as well as the staff and create as painless an experience as possible. Before you know it, you’ll be jetting off, that awkward pat down a distant memory. Keep reading the Parking at Airports blog for more travel advice to help on your next adventure!